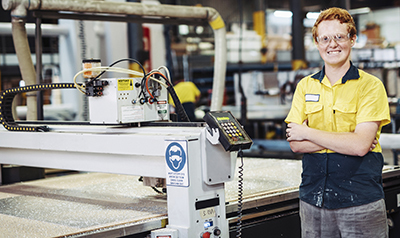 In this eToolkit, you can access a range of resources that have been specifically developed to support young workers’ safety. 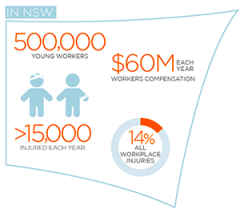 In NSW, there are more than half a million young people (aged up to 25) who have entered the workforce. Regardless of how they are employed, or in which industry, young workers need extra support to ensure they are carrying out their tasks correctly and safely. It includes real stories about young people who have been injured at work, the impact of this injury on their and their family’s life, and how it could have been prevented. 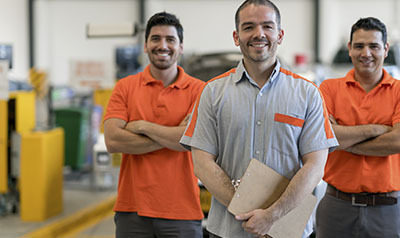 Tools to help you with training and supervising young workers. The toolkit was developed in consultation with industry stakeholders that support young people.